Call for Artists: Grit Fund! The Grit Fund supports unincorporated and collaborative artist-organized activity that contributes significantly to Baltimore’s arts landscape but seldom qualifies for traditional funding. Established with generous support from The Andy Warhol Foundation for the Visual Arts, the Grit Fund expands Warhol’s Regional Regranting Program to the Mid-Atlantic, encouraging projects that generate opportunities and create platforms for artists to engage with each other and with the public. Funded activities could include but are not limited to: exhibitions, publications, public events, public art, film screenings, the ongoing work of an existing arts venue or collective, and the founding of a new arts venue or collective. The Grit Fund, administered by The Contemporary, provides 8-12 grants in amounts between $1,000–$6,000, totaling $50,000 annually. The Grit Fund will accept proposals from non-incorporated, artist-organized initiatives that work collaboratively and reside in Baltimore City or Baltimore County. Projects must take place in either Baltimore City or Baltimore County and be accessible to the general public. The Contemporary’s mission is inspired by three guiding principles: artists matter, collaboration is key, and audience is everywhere. In keeping with this mission, the Grit Fund values risk-taking, encourages collaboration, and seeks to expand points of access to contemporary art. The Rubys were established in 2013 by GBCA with lead funding from the Robert W. Deutsch Foundation to provide project-based funding for individual artists. The vision of the program is to provide meaningful support to individual artists for the creation of innovative and bold projects that will have a significant impact for the artist and on the artistic community. The program is open to both emerging and established artists who are committed to their art forms. The Rubys will have two funding rounds per year, with each round awarding grants in two of the four discipline areas. Applicants may request up to a maximum of $10,000. Artists in each discipline category will be selected for funding each year. Artists may submit only one application during each funding round. Performing Arts includes but is not limited to: dance; music; theater; musical theater; opera; puppetry; performance art; playwriting; spoken word; storytelling; traditional/folk art; cross-disciplinary; experimental/emerging fields. Media Arts includes but is not limited to: film; audio and video projects; animation; computer graphics; sound art; digital arts; screenplay; teleplay; cross-disciplinary; experimental/emerging fields. • Resident of either Baltimore City, Baltimore County, Anne Arundel County, Carroll County, Harford County, or Howard County at the time of application and when the grant is awarded. • Current board member, committee member, staff, or consultant for the Greater Baltimore Cultural Alliance, the Robert W. Deutsch Foundation, or their immediate family members. Baltimore, MD – Maryland Art Place (MAP) is proud to announce a call for curators to participate in the Eleventh Annual Curators’ Incubator exhibition. This program was developed to provide a creative space for the Maryland region’s aspiring curators to develop and present their curatorial concepts. This exhibition would be the first Curators’ Incubator Exhibition to take place in MAP’s historic 218 West Saratoga Street gallery located in the Bromo Seltzer Arts and Entertainment District. MAP is open to exhibition proposals of all types. Curators’ proposals will be juried by MAP’s staff and Programming Advisory Committee (PAC) in December of 2014. Selected curators will be chosen to fully develop their proposals for an exhibition scheduled for May 14 – June 27, 2015. All participants must be available to participate in a gallery talk and attend a reception on May 14, 2015. MAP welcomes discussion with curators prior to the deadline to assist in developing strong proposals. The call for entry requires curators to complete an online application form found below and submit a proposal, outlining the exhibition ideas and goals in a statement of intent, while including a short bio for each artist intended to be included in the exhibition. Curators may not include themselves in the exhibition. After the initial review of proposals, a small number of curators will be asked to advance to the second phase of the application process where they will be required to present their proposals to the PAC in early January 2015. If selected, curators will receive individual mentorship from the PAC and MAP staff as they work to develop their exhibitions for debut. MAP will also work with curators to strengthen their curatorial writing in preparation for a program catalogue to be published online. The deadline for submitting materials to be considered for the Eleventh Annual Curators’ Incubator Program is 5pm December 1, 2014. Materials should be submitted via email. Please visit our website and download the RFP for complete application instructions. Established in 2003, Curators’ Incubator was developed to assist aspiring curators in developing and presenting an exhibition at Maryland Art Place. This annual program provides a creative space for the region’s emerging curators to develop and present their concepts. Selected through a competitive two-phase application process, curators with limited or no previous experience are asked to submit an exhibition proposal to be considered for debut in MAP’s galleries. The selected curators or curatorial team then participate in a year, long mentorship program. This mentorship helps curators refine their vision; from laying out the show, to artists’ selection and feedback on their curatorial statements. The program culminates in an exhibition publication. The publication is often the emerging curators first public platform for critical writing. Sensitive to the many obstacles curators confront as they work to gain experience and earn professional credentials, each selected curator receives intensive mentoring by MAP staff and members of its Program Advisory Committee (PAC) as they strengthen and further develop their proposals. The diversity and breadth of the artists chosen to participate is reinforced by having the curators select artists from within their respective communities, widening the scope of the program and the audience it reaches. The program concludes with an exhibition and catalogue featuring curators’ writing and images of the artwork represented. Eligibility: Any artist or artist team authorized to work in the U.S. 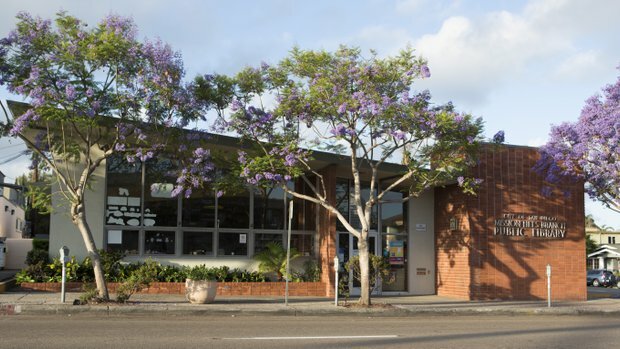 Application Deadline: Tuesday, January 6, 2015 before 4:00 p.m. PST The City of San Diego is seeking applications from interested qualified artists to provide public art services for Mission Hills/Hillcrest Branch Library Public Art Project. An artist or artist team is sought to design, fabricate and install permanent, site-specific artwork(s) at Mission Hills/Hillcrest Branch Library. CALL FOR ENTRY: Maryland Art Place (MAP) is seeking artists for “UNDER $500,” MAP’s annual affordable art sale. Scheduled for Friday, December 12 and Saturday, December 13, 2014. The exhibition will include 1-3 works by each artist with each individual piece retailing for $500 or less. WHAT IS UNDER $500? UNDER $500 was established to promote & support, working, emerging and mid-career artists. UNDER $500 will feature artists from around the region with works listed at a retail price point of five hundred dollars or less. UNDER $500 is a first-come, first-served opportunity to purchase affordable, original works of art just before the holidays. UNDER $500 is a great opportunity to get your work noticed and purchased by area buyers & collectors just in time for the holidays! Participating artists will receive one free ticket to the opening event on Friday, December 12. Selected artists will be issued an UNDER $500 Profile Form in an effort to simultaneously promote the artwork and artist during the event. There is a $10 dollar application fee for non-MAP Members to submit. This fee can be paid on here Click&Pledge. *Proceeds from the sale of artwork will be split equally between artist and MAP. Proceeds directly benefit MAP’s, helping to maintain MAP’s free & open to the public policy in addition to upcoming annual programs and exhibitions such as Young Blood – a recent Masters of Fine Art graduate exhibition, Curators’ Incubator – a mentorship program for aspiring curators, our annual Speaker Series, IMPACT – MAP’s new public art initiative and IMPRINT, MAP’s annual artwork replication project. Please Click HERE to Download the full application. Next Monday, November 24th (4-6PM), auditions will be held for the GET YOUR LIFE! Production titled THE SITUATION ROOM. Get Your Life! Productions is a collaborative, youth-centered video production company consisting of student artists aged 10-21 from 901 Arts and MICA. For these four weeks, GYL! will take over Gallery CA, turning the space into a production studio to create a new video. Please see the attached Casting Call announcement!!!! If you cannot make it, please consider joining us on December 1st (4-6PM). Extras are needed for the Ice Cream Party & all are welcome to participate! 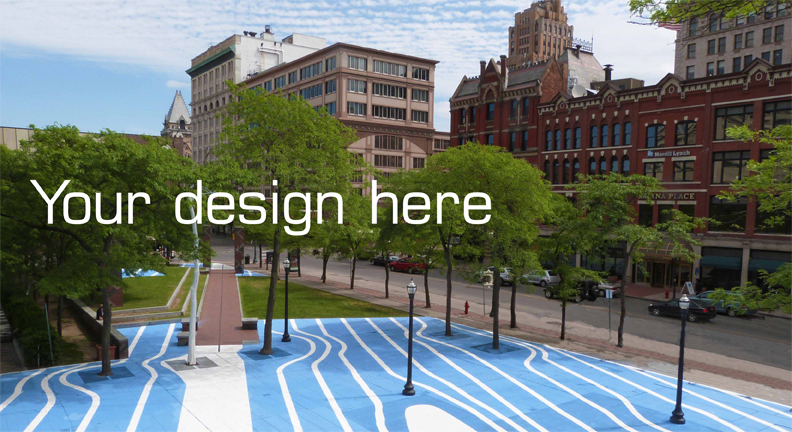 The Syracuse Urban Renewal Agency (SURA), a public benefit corporation of the City of Syracuse, NY, seeks a qualified, multidisciplinary team to plan, design and develop construction specifications for a public space in the center of Downtown Syracuse, New York. The project will transform an underutilized plaza and green space in Downtown Syracuse into an active and inviting public space, encompassing urban and landscape design and context sensitive public art. This is a two stage proposal process. In the first stage, respondents are requested to present their qualifications that demonstrate experience and expertise in the areas of urban and landscape design, context-sensitive public art, and public participation. Because public art is an integral component of this project, a public artist must be part of the project team.